As I rub sleep out of my eyes, I go to the truck, driveacross campus, and meet up with campus PD. The call is in a vending area off ofthe lobby of a residence hall. I get a brief story from Campus PD – turns out,this guy came downstairs to the lobby, walked over to the vending area, andthen passed out. PD found him lying in a pile of quarters, out cold in front ofthe Coke machine. So I work my way though the assessment. I ask him what hehad to drink tonight. At first, he gives me the ubiquitous answer “Two Beers”,but I press on, and ask again – “What did you have to drink?” So he starts: “I had a Skittles. 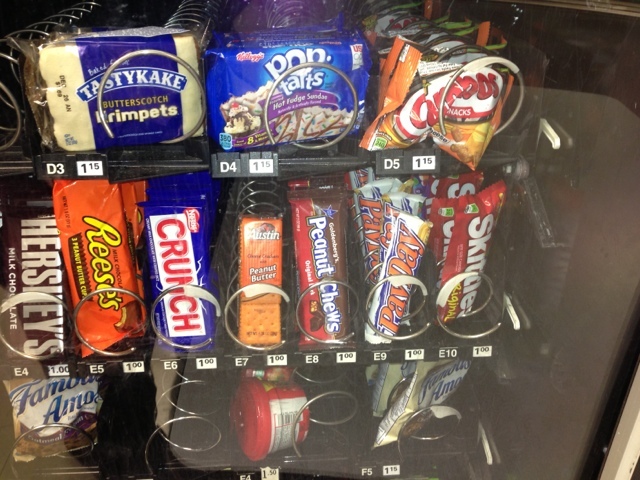 And a Reese’s, and a 3Musketeers…” I look over at the snack machine the patient is facing. Sure enough, I see he’s reading off the row of candy. Then he finishes off “… then I had a Fritos.” I look at the cop, and he looks at me. Both of us are trying to keep a straight face, and failing. And people wonder why I volunteer on the college campus.Not only is it a chance to take a break from ALS CCT and keep my BLS skills sharp, but sometimes the patients say the darndest things. Sandy Hook / "Gun Control"